Incense in China is known as xiang. It is composed of aromatic plant materials and some essential oils. 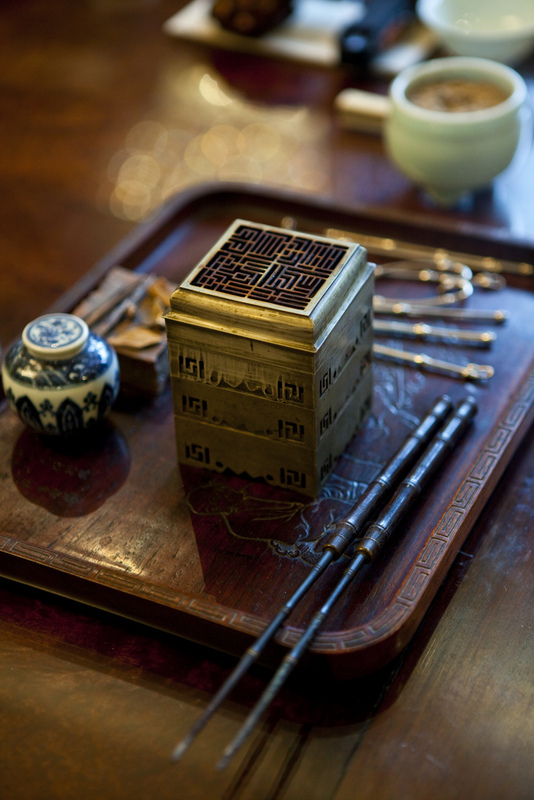 For over two thousand years, the Chinese have used incense in religious ceremonies, ancestor veneration, traditional Chinese medicine, and daily life. To most of the modern Chinese people, the culture of incense is always connected with tradition and rather limited to an image of the burning incense sticks inside temples – a symbol of the faithful prayer rising in heaven. However, fashion and beliefs change fast in China, especially among the rich and famous. Just a few years ago, drinking 50 year old pu’er tea and sipping expensive French wine was the ultimate life style. Now, the Chinese elite has moved on to embrace incense and the calming world of Zen. After all, Chinese incense is known to attract divinity – who could resist such an idea? The release of fragrant smoke when it is burned creates a spiritual atmosphere and masks unpleasant odors. The smoke and fragrance produced aids prayer and helps the believer feel that their worship is sacred and holy. 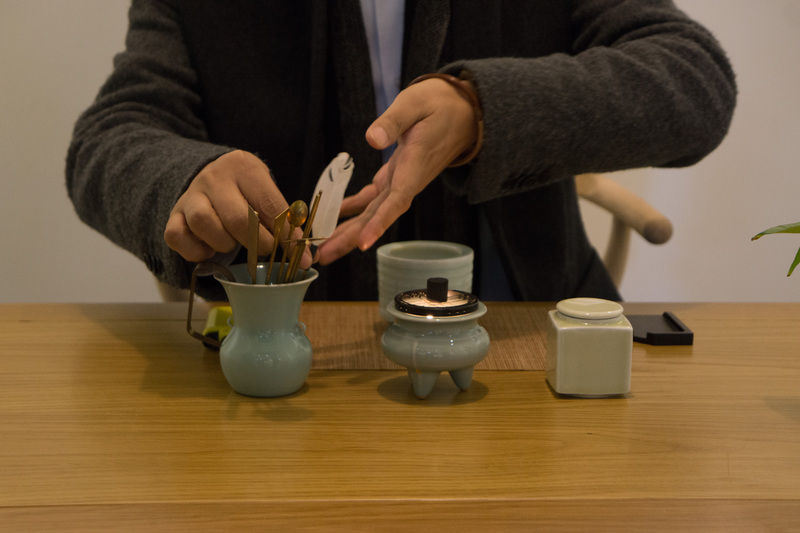 Just like with tea and calligraphy, the Chinese developed a sophisticated art form with incense burning called xiangdao. It involves various paraphernalia and utensils in ceramic containers used to burn the incense. Examples include tongs, spatulas, special moulds to create ideograms with incense powder etc., all placed on a special, small table. It is most often used as an enhancement of a personal space to accompany other arts such as tea drinking and guqin playing. Xiangdao enthusiasts seek to finely tune their sense of smell – they play games to see who can identify subtle differences between varieties of incense, similar to a wine expert who can distinguish the vintage of a wine from smell and taste. Some incense woods are extremely rare. For example, agarwood is a prized wood for incense that comes from two endangered species of tree. It’s separated into 6 grades according to its aromatic properties. Agarwood is normally a light color. However, when it’s attacked by mold, the tree releases a dark protecting resin. 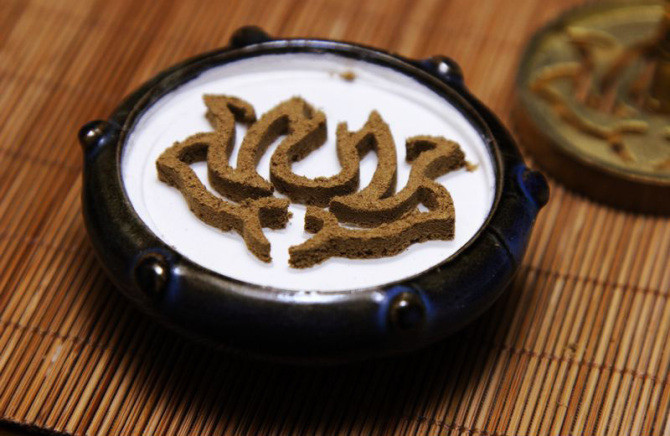 The aroma of this resin has been prized in Asia since ancient times. Top grade agarwood is saturated in resin, making it hard, dark and aromatic. It costs about $165 US per gram. By comparison, the current price of 24K gold is around $40 US per gram. Most Chinese people have never smelled incense that’s more expensive than gold. 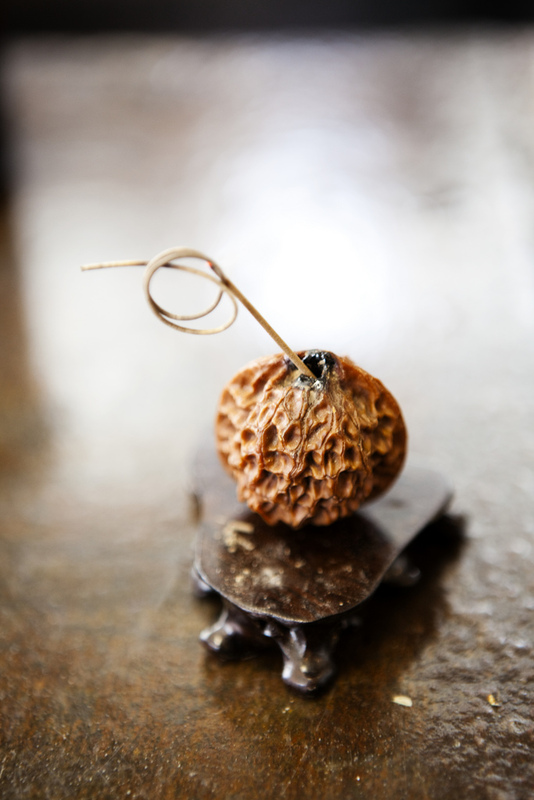 The majority of incense sold in Japan is made from more common woods such as sandalwood. By now you must wondering what kind of people are involved in the incense business in Shanghai? Born into a wealthy traditional Chinese family, Chen Lei made up his mind in childhood, not to follow his parent’s profession as a traditional Chinese medicine doctor. In fact, he didn’t want to work at all! But after making his fortune from running different businesses, he acquired the expensive hobby of collecting high quality incense and ironically his medical background helped him better understand the connection between incense fragrance and how it can benefit people’s health. Retiring very young, he devoted his time and passion to creating a research center for Chinese incense and offering classes to people who wish to learn about it. Zhou Rong Qiao appears to be an idealistic intellectual who is into anything related to Chinese culture. Known as a famous publisher and writer, incense to him is something spiritual which can inspire his writing. 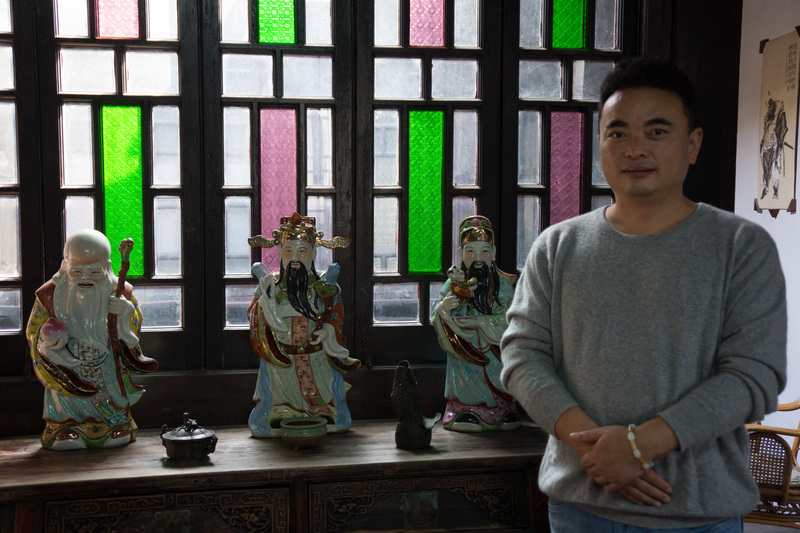 His dream is to complete a masterpiece of traditional Chinese incense history, and he is working on it right now. Zhou also owns an incense store in the French Concession area, a popular spot for local writers and intellectuals. Zhou Qiong loves Chinese tea but her favorite day to day tea is actually made from incense. Every day, before going to sleep, she puts a slice of incense wood into warm water, boils it for 15 minutes to develop the essences of the fine incense in the water. She uses the incense tea to balance her Qi and energy, it has a warming effect and is especially good for women who have cold hands and feet.